New Traffic Safety Request Form Online: The Smithfield Traffic Safety Commission is proud to introduce the new “Traffic Safety Request Form.” The new online form makes the process of identifying traffic problems and recommending solutions to the Smithfield Traffic Safety Commission more efficient. The user friendly form allows a traffic safety request to be added to the Traffic Safety Commission Meeting. Appropriate requests will be added to the agenda for the next scheduled meeting. We look forward to working with the public in an effort to enhance traffic safety. For additional information please contact Sgt. Kevin Proulx at kproulx@smithfieldpd.com or 401-231-2500 x145. 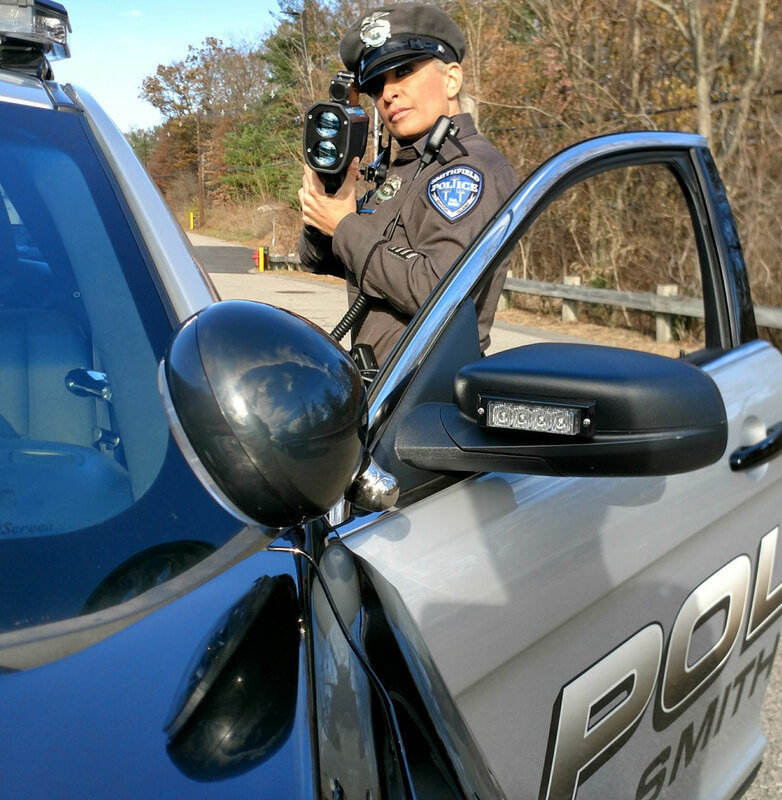 The mission of the Smithfield Police Department’s traffic services program is to promote the safe, orderly, and expeditious flow of vehicular and pedestrian traffic and deliver traffic-related services designed to reduce the number of traffic collisions. The Department’s Uniform Division enforces traffic laws in a consistent and courteous manner to foster a positive public image, while providing all necessary traffic-related services. The Department enjoys a close, effective working relationship with the Rhode Island Department of Transportation and the State Traffic Commission. Additionally, the Department works hand-in-hand with the Town Department of Public Works and is represented on the Town Traffic Commission, a committee which handles complaints and suggestions concerning traffic control devices, (i.e. : stop signs, traffic signals, etc.) parking regulations, and deficiencies in the Town’s roadways. These relationships promote close coordination and cooperation, which are essential to the maintenance of a safe and effective highway system. The Department assists disabled motorists, persons locked out of their vehicles, investigates over 1,000 traffic collisions per year, and provides car seat inspections to parents and caregivers. The Department actively participates in regional and national programs that specifically target speeding, drunk-drivers, aggressive drivers, and motorists not wearing their safety belts. In addition to hand-held Radar and Laser units, the department has outfitted an unmarked police vehicle to assist officers with traffic enforcement. The Department encourages the community to express their concerns regarding traffic problems. We direct much of our attention to locations where residents feel that the vehicular traffic poses a safety concern. For matters that do not require an immediate police response, residents can email Sgt. Kevin Proulx at kproulx@smithfieldpd.com. All requests will receive a timely response from Sgt. Proulx. Concerned residents can also call Sgt. Kevin Proulx at 401-231-2500 x145, Monday through Friday from 7:00am to 3:00pm.